The Academy of Sacred Drama is pleased to present the Modern-Day World Premiere of Domenico Freschi’s Giuditta. The Academy 2017-2018 season features three Italian oratorios based upon the deuterocanonical Book of Judith. Determined to reverse the cruel fate of her city, Judith captivates the commander of the enemy forces with her beauty and decapitates him in the night. Oratorio Readings include a musical performance, lecture, and dessert break. 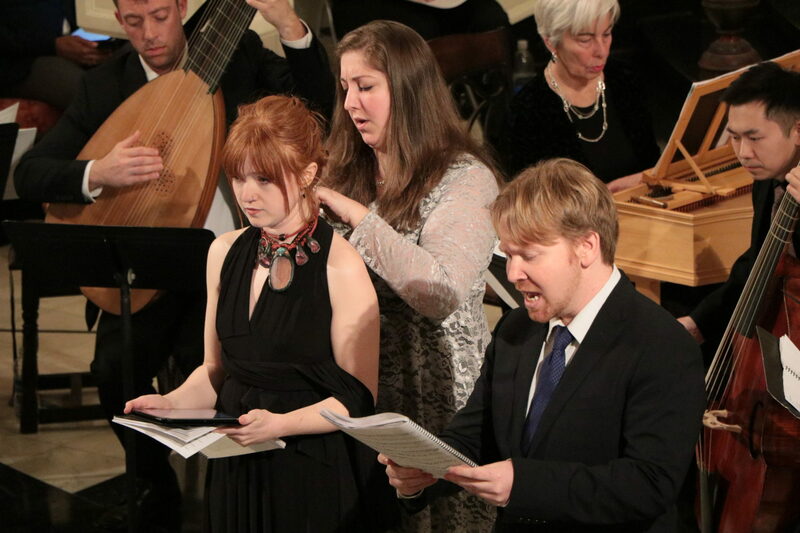 The October 2017 Academy Journal explores the text and context of Domenico Freschi’s Giuditta, takes a look at the Academy format, highlights the efforts of other organizations offering performances of Baroque-era sacred music, and draws upon expert commentary and Academy of Sacred Drama member contributions. Become a member to receive an Academy Journal subscription. The Academy will release a new and free performing edition of Domenico Freschi’s Giuditta with an English translation of Francesco Silvani’s libretto under a Creative Commons Attribution-ShareAlike 4.0 International license in October 2018.